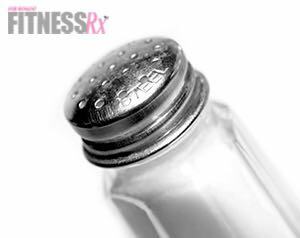 FitnessRX for Women > Nutrition > Healthy Eating Tips > Salt is NOT the Enemy! 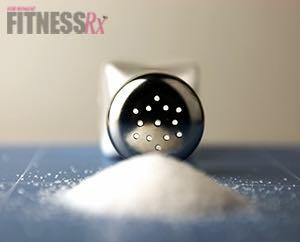 It seems that many of us fitness enthusiasts are under the impression that salt (or sodium) is a bad thing. We have been told time and time again that it is responsible for weight gain, water retention and high blood pressure. Therefore, many of us avoid it like the plague. However, salt is essential for the body to function and has a surprising array of health benefits, especially for those of us who put a lot of effort into training. The truth is that for healthy, normal individuals not diagnosed with a health condition like hypertension, salt is beneficial. Why Do You Need Sodium? Salt is an electrolyte. Electrolytes are responsible for carrying electrical impulses throughout the body, allowing it to function properly. Electrolytes also trigger the thirst mechanism, which causes us to consume adequate amounts of water. Salt prevents cramping of the muscles and stimulates muscle contraction. Other benefits of salt are that it helps to keep vitamins and minerals in the bloodstream and stimulates the adrenal glands. Did you know that salt also plays an important role in digestion? From the time food touches your tongue, salt plays a role in not only the taste of your food, but also the breaking down of your food. Shake It or Leave It? If you are consuming mostly natural, unprocessed whole foods, it is likely that you are not consuming enough sodium. If you suspect you are not getting enough sodium, consider adding a little sea salt into your diet. If you consume a lot of processed foods, protein powders and protein bars, you may be getting sufficient sodium. Take a look at your diet and assess your approximate daily consumption. On the flip side, not having enough sodium (hyponatremia) can lead to health concerns. Specifically, electrolyte imbalance can cause you to suffer from malnourishment, dehydration, shock (from having too low of blood pressure) and stroke. The risks of electrolyte imbalance are heightened in hot temperatures and in situations when you will excessively sweat.